As I was expecting the cake to be really moist as much as its claim, I was actually very disappointed to see crumbs everywhere after I cut the cake. Maybe my expectation was too high, but overall I would say that the cake tasted pretty good. 1. Preheat oven to 180°C. Line the base of 23 cm round cake tin with baking paper. 2. Place chocolate and butter in a saucepan over low heat and stir until melted and smooth. Set aside. Stir in flour and baking powder over through almond meal and chocolate mixture. Pour mixture into baking tin and bake for 50 min or until cooked when tested with skewer. Cool in tin. I use 1/5 of the recipe to make a mini 10 cm diameter cake and bake it for 35 min. Perhaps it's the different egg sizes? I had a similar result before, and then realised the eggs I used were smaller, so the batter was not as moist as it's supposed to be. i hope you had a great birthday with the yummy cake!! Happy Birthday, Zoe! The cake looks very moist and delicious, with tender crumbs! I noticed that the amount of sugar is very little compared to other chocolate cakes. This would be the kind of cakes on my "to do list". Thanks for sharing! Love your display! Your mini cake is so cute! happy birthday zoe!! you are also a october baby? your cake looks good! chocolate is a treat everytime! I'm by over with the deep colour of this cake, must be ultra chocolatey rich. Wish you belated happy birthday! 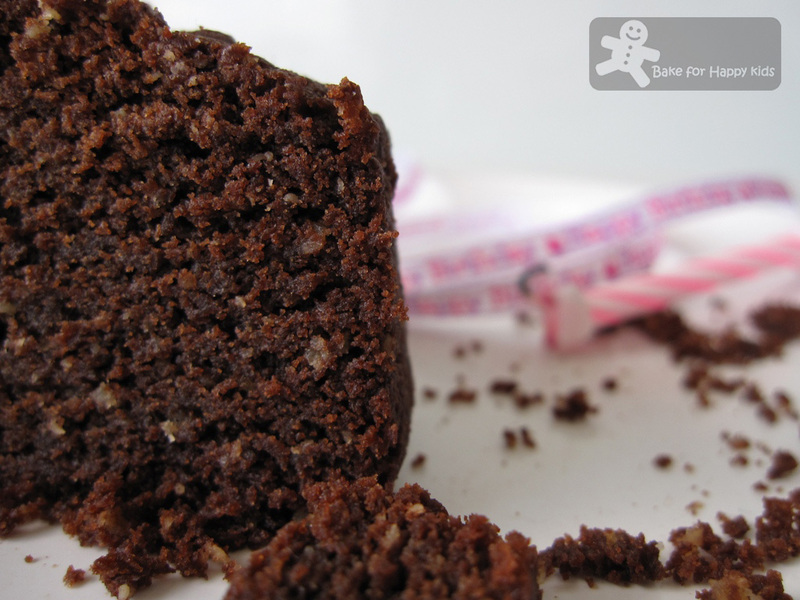 Enjoy your mini moist chocolate cake! For me it's really looks nice and moist. Looks like everyone of us are baking our own birthday cakes! You did a good job! Very cute cake...love the idea! As usual you made amazing photos and presentation! This is my first visit to your blog and it's lovely! I love the little chocolate cake you made for your self! Who cares what it looks like as long as it's good! If you'd like to "visit" me in New England I love company and new Followers are so exciting! You may want to check out my most recent blog . . . yum, yum, yum! I enjoyed my visit today! Oh how delicious. The texture of the cake looks fabulous. And love dark chocolate too! Super chocolatey sounds awesome! I've been baking too much pumpkin. The almond meal is an interesting touch! Thanks for visiting my blog! Hi everyone, Thanks for all your wonderful comments. I had a wonderful happy birthday celebration and I did enjoy the chocolate cake for this special day. NEL: The egg that I used is 70g each and I think it is quite a standard size for baking. I'm guessing it's the recipe that is not as moist enough as I was expecting. Jess: Yup! I'm an October baby...I have lots of friends and family being October babies as well...got to eat lots of birthday cakes this month. LOL. You may be new to blogging (I read your other profile) but you are doing a great job! Brava! Happy Birthday! This cake is so chocolaty, I am sure I will love it. The cake looks so moist & delicious. Love the nutty flavour in it! Thanks for sharing. That is so disappointing! but don't despair. It's all part of the growing pains with baking. You have a lovely blog and I am joining you. Thanks for your visit. 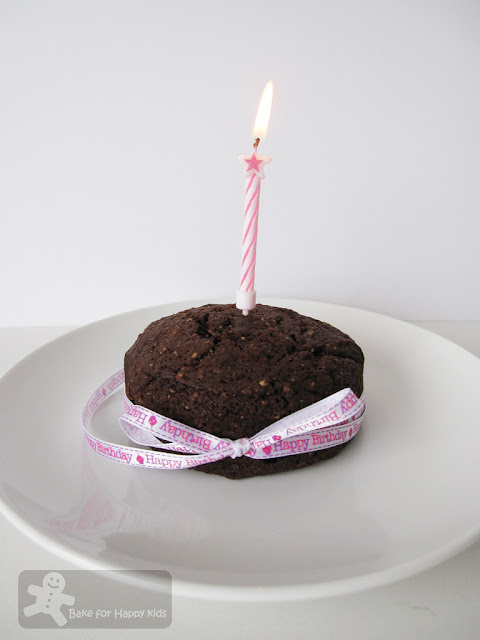 Happy belated birthday to you Zoe and thanks for dropping by my blog. That chocolate cake is beautifully decorated and looks delicious too. Looks moist and chocolaty to me, yum! Thanks for leaving a comment on my blog, leading me to yours too! Lovely! Perfect for the celebration! Hi, Thanks everyone for your wonderful comments. Alessandra, Rita and Emily: Thanks for reading my profile and your support for following my blog. I feel that I'm still very junior in food blogging and has lots of learn. Hope to hear more from you in the future. Jane & Lou: Junior Masterchef rules! Thanks for visiting my blog and I hope to hear from you in the future. I do not understand "Stir in flour and baking powder over through almond meal and chocolate mixture". b) stir the flour and baking into the almond meal and chocolate mixture and pour this back into the egg/sugar batter? Sift in flour and baking powder over through egg mixture and gently fold through almond meal and chocolate mixture. Pour mixture into baking tin and bake for 50 min or until cooked when tested with skewer. Cool in tin.